Sunrise, Sunset. Villages of Vilano is nestled between the Atlantic Ocean and the Intracoastal Waterway conveniently located approximately 3 miles northeast of Historic Downtown St Augustine. Private beach access with pavilion is a perfect way to start any day and finish with beautiful sunsets over the Intracoastal while relaxing on your back patio. This 3/2.5 second floor condo is a rare opportunity. Fully remodeled, open plan, plenty of storage and a two car garage! Bright and spacious. This unique, beautifully maintained, gated community has 24/7 Live Security, Outdoor and Indoor heated pools, Hot Tub, Sauna, Fitness room, Clubhouse, Lighted Tennis Courts, Pickle Ball, RV/Boat storage. 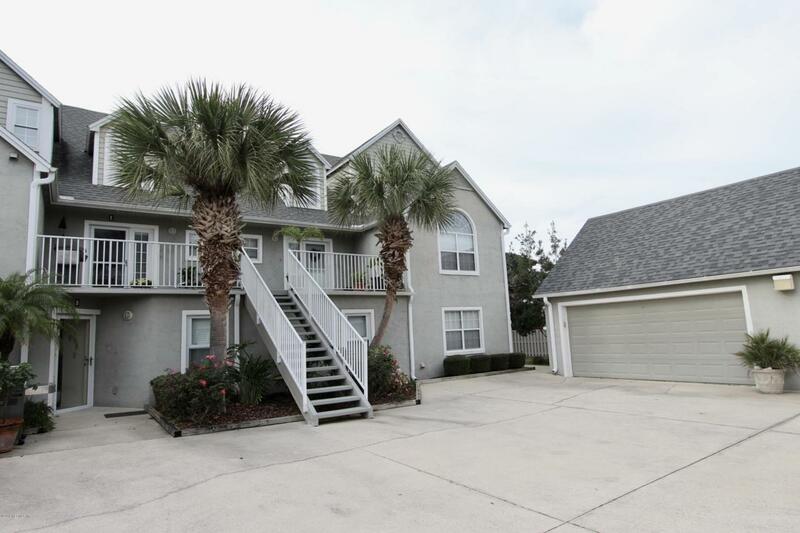 Dock space available for Rent or Separate Purchase.The condo has many upgrades including S/S Appliances, Granite, 42" upper cabinets, tile throughout main living area, Walk in Master shower with a TV behind the Vanity Mirror to catch up on the News as you start your day. Private and peaceful, did I mention beautiful sunsets?! A must see!